Effie’s father dealt with hearing loss throughout his life, and her struggle to hear became prominent once she reached her seventies. Throughout the years, her hearing loss worsened and now Effie can no longer interact with those around her, watch her favorite TV shows or enjoy the laughter of her grandchildren. Due to Effie’s hearing loss, glaucoma and other related health conditions, her son-in-law Rusty Hollingsworth took it upon himself to find her assistance. 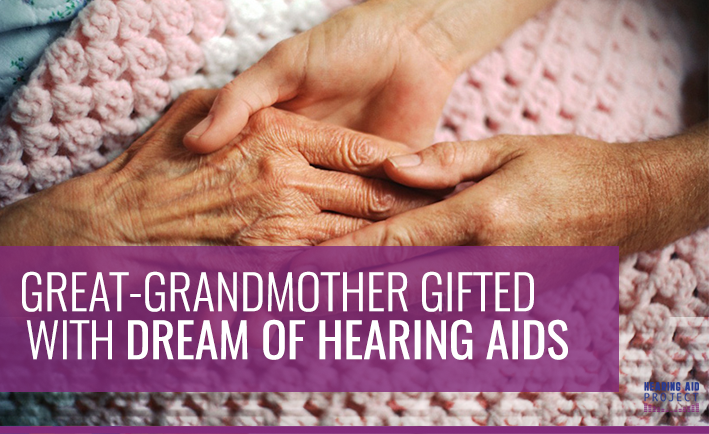 He discovered the Hearing Aid Project online and was able to find Effie the help that she needed. Effie was recently fitted with two refurbished hearing aids, which have already made a tremendous difference in her life. If you would like to help others receive the gift of hearing you can do so by creating a personal fundraiser, or making a cash donation online. Every $500 changes a life.